Part fiction, part travelogue, the narrator of this compelling masterpiece pursues his solitary, eccentric course from England to Italy and beyond, succumbing to the vertiginous unreliability of memory itself. What could possibly connect Stendhal's unrequited love, the artistry of Pisanello, a series of murders by a clandestine organisation, a missing passport, Casanova, the suicide of a dinner companion, stale apple cake, the Great Fire of London, a story by Kafka about a doomed huntsman and a closed-down pizzeria in Verona? W. G. Sebald was born in Wertach im Allgau, in the Bavarian Alps, in 1944. He studied German language and literature in Freiburg, Switzerland and Manchester. In 1966 he took up a position as an assistant lecturer at the University of Manchester, settling permanently in England in 1970. He was professor of Modern German Literature at the University of East Anglia, and is the author of The Emigrants which won the Berlin Literature Prize, the Literatur Nord Prize and the Johannes Bobrowski Medal, The Rings of Saturn and Austerlitz. 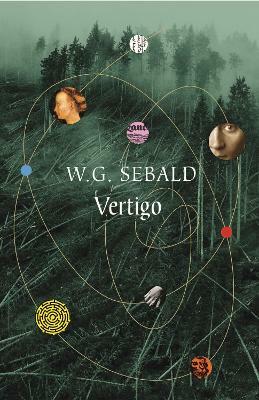 W. G. Sebald died in 2001.